Examination Controller Division, Faculty of Management, Tribhuvan University published the result of MBS Second Semester Regular Examination 2018. The exam was held by Tribhuvan University from 2075 Shrawan 07 (2018 July 23). 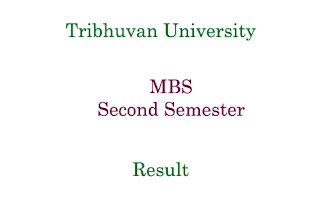 Check Complete MBS Second Semester Result Tribhuvan University below.